Sounds like another bad tv pilot, huh? Actually it's just a mash up of knitting project names and the fact that I'm the featured maker over on Kollabora's Nora Meets the Maker. That's pretty cool! 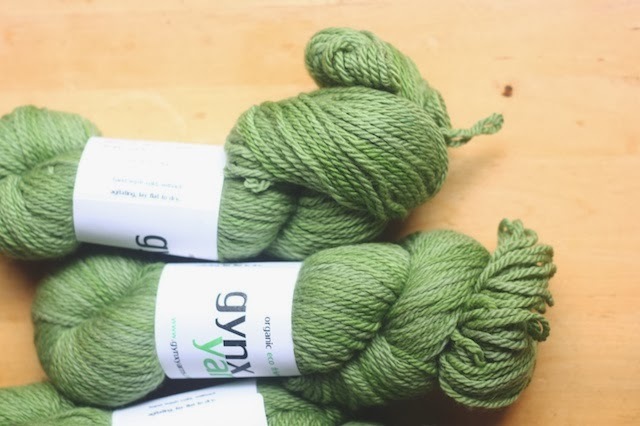 So if you want to know all of my intimate secrets and deepest fears instead of the details on another knitting project, click on over, and prepare to be shocked. Bunch of saps. It's all about knitting over there too. :) Anyway, on to the hand knits with womanly monickers. Have knitting patterns always been named after people? Seems like I was twentyish when mail order catalogs began naming every sweater and shoe after a woman. Of course it was never names like Ruth or Maude (until more recently). Back then, it was all Taylor and Lexy. It's the Dee Slouch pattern by Lara Neel and it's a freebie. I like those. Even better, it required zero modifications. That almost never happens for me with a hat. I knit the whole thing in an evening of tv watching with my daughter. (I think it's sweet that she watches Longmire with me. We like that guy.) I used a super long size 3 circular and a skein of Lion Brand Wool Ease. I may still put a giant pompom on top, if Laura wants one, before her next weekend visit. 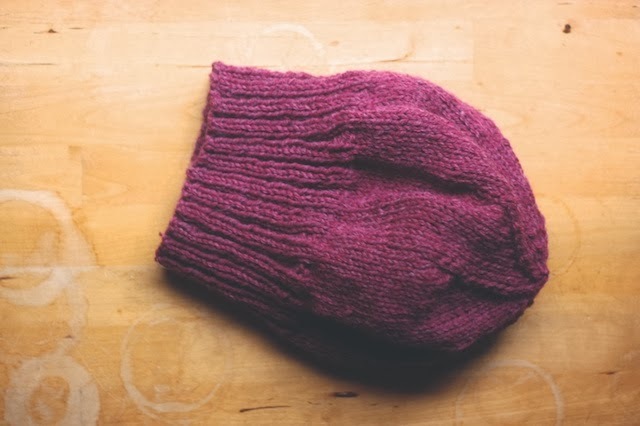 After that, I cast on for the Elora Slouchy Toque by Tara-Lynn Morrison. I'm using bulky wool, doubled. For this one, I did reduce the cast on stitches by 6 since it has to fit on my head which is small, apparently. I'm also adding little dots here and there in some leftover worsted, quadrupled. Yes, doubled and quadrupled leftovers hanging from stubby, little double points. It's not as messy as it sounds. I just really wanted to use my homemade needles. So the last inanimate object with a girlfriend-sounding name is this little pile of Aran from Gynx Yarns that will soon become a Bernadette sweater in the Big Bang Theory Knitalong hosted by Shannon of Luvinthemommyhood and organized by Heather. We won't begin until Halloween, so if you're a knitter, a BBT fan, or even thinking about being either, join us. Heather has a great list of Big Bang inspired cardigans, vests, sweaters, socks, scarves, hats, etc. The nerdier, the better. Hats! Lovely. :) The green for your sweater is really pretty. I can't wait to see it! sounds like you are going to be a super busy knitter. just a little comment about knitting names: i tend to take the ones that i use in my patterns from characters in the books that i am reading. but they do still tend to be more female. weird. i am going to have to work on that! happy knitting! I guess it's only natural since most patterns I knit are for women. 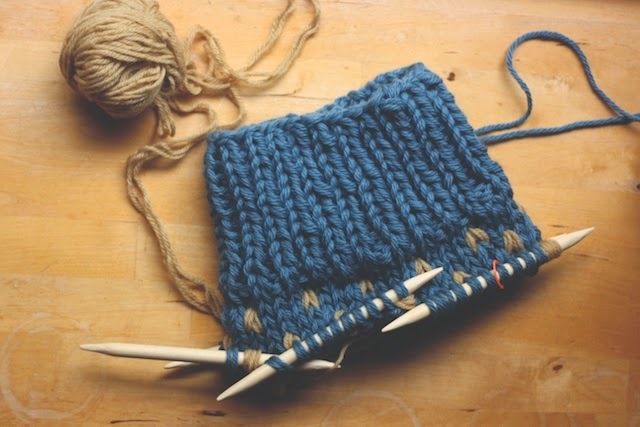 Plus, we tend to humanize things we love and anything I knit on for a month better be lovable! I love green and blue and grey! 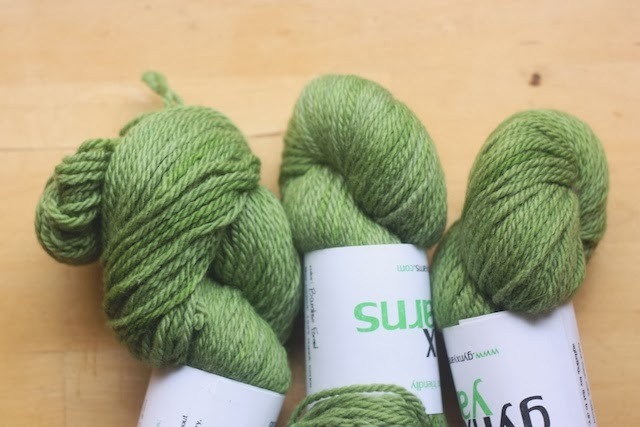 But this is a brighter green than I've used for a while, so I'm excited to work with such a happy color. I hope you do join us! It sound fun, having trivia games and points, like a game the BBT guys would play at Leonard's. I'm interested to see an Aran work up in lace. I've never done that before. I think I'll appreciate the jolt of bright color once winter actually gets going too. What I want to see is your finished costumes! I feel certain your attention to detail will make them fabulous.